September 2015 is the Fourth Global World Alzheimer’s Month™, an International Campaign to raise awareness and challenge stigma. The impact of September’s campaign is growing, but the stigmatisation and misinformation that surrounds dementia remains a Global problem. 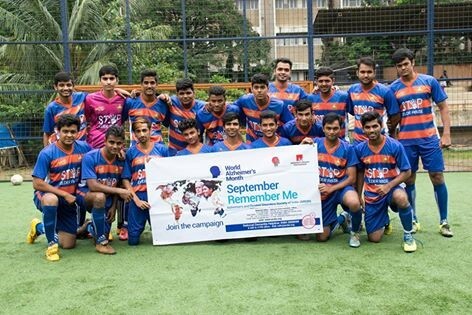 The theme for World Alzheimer’s Month 2015 was “Remember Me”. Encouraging people all around the world to learn to spot the signs of dementia, but also not to forget about loved ones who are living with dementia, or those who may have passed away. 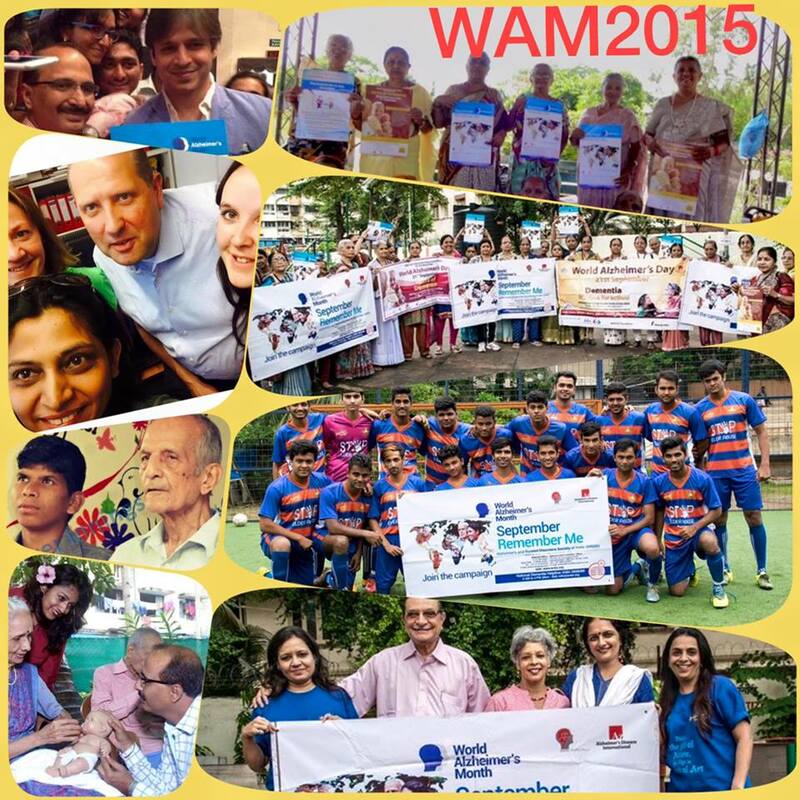 On the occasion of World Alzheimer’s Day on 21st Sep 2015 Silver Inning and ARDSI Greater Mumbai chapter in association with Pride Age, Sophia College, Pushpa Ma Foundation, Eisai Pharma, The Metrognome, TISS, Nirmala Niketan College of Social work, Silver Innings Helpline, Nair Hospital Occupational Therapist(OT)Dept , Bhaktivedanta Palliative Care and ‘A1 Snehanjali’ assisted living elder care home, held events for the whole month for #WAM 2015 International World Alzheimer’s Month Programme, to create awareness about Dementia and Alzheimer’s in city of Mumbai and nearby area.These events were FREE and Open for Family members, Students, Counselors, Medical and Social Work Professionals, Person suffering with Dementia / Alzheimer’s, Senior Citizens & Interested individuals, with Prior Registration ONLY. Fri 11th Sep : Talk on ‘Institutional Holistic Care for Dementia Care’ by Sailesh Mishra at GERON National conference at Varodara. Around 150 Professional participated. Mon 14th Sep : Full day Reiki Level 1 Learning for Caregivers by Grand master Hariharan Iyer at A1 Snehanjali Elder care home, Nalasopara west . 13 People participated. 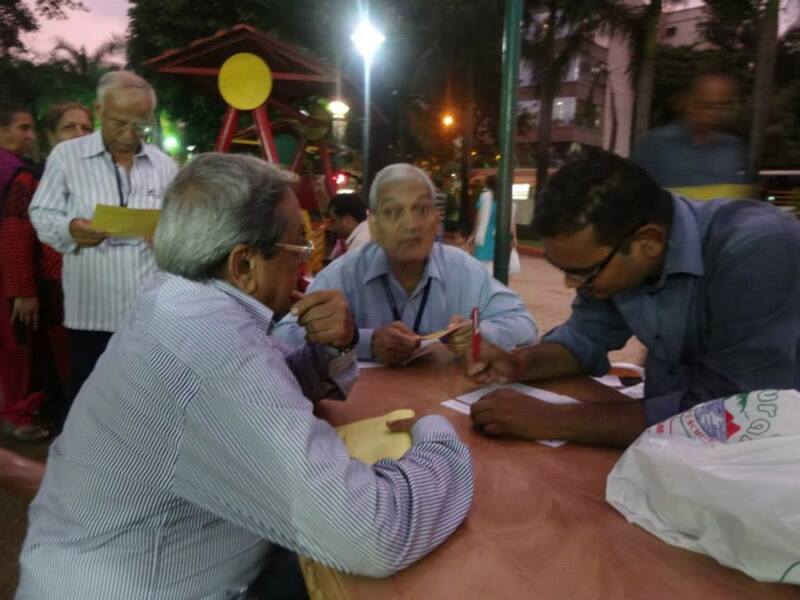 Mon 14th , Tue 15th and Wed 16th Sep : Memory Camp was held by Eisai Phrama at Dada Dadi Park, Veer Sawarkar Udyan, L .T. Road, Pushpa Ma Foundation, Borivali west – 5pm to 7pm. 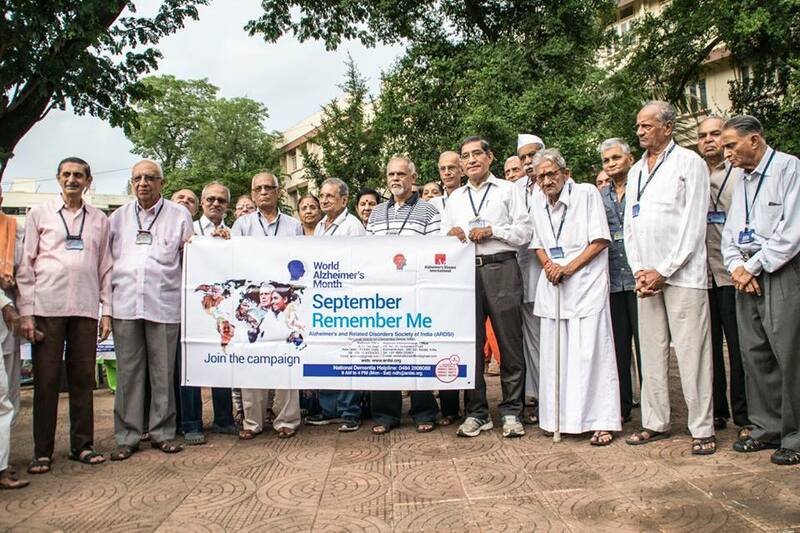 Around 150 Senior Citizens Participated. Tues 22nd: Talk with Senior Citizens Residents and Satff of A1 Snehanjali Elder care home, Nalasopara west by Dr. Suresh Patil (Psychiatrist) Nalasopara west. 10 Staff and 9 Residents participated. Fri 25th Sep YWCA Elder Women Awareness Event With Fun and Games: 2pm to 4pm at Chacha Nehru Park, Model Town, Near RTO Bus Stop, Andheri West in association with YWCA and Nair Hospital Occupational Therapist(OT)Dept. 15 Senior Citizens Women participated. Sat 26th Sep Awareness session for Students of Royal College of Science, Arts and Commerce, Mira Road was taken by Dr. Vineeta Sharma and Team of Bhaktivedanta Palliative Care. Around 65 Students Participated. 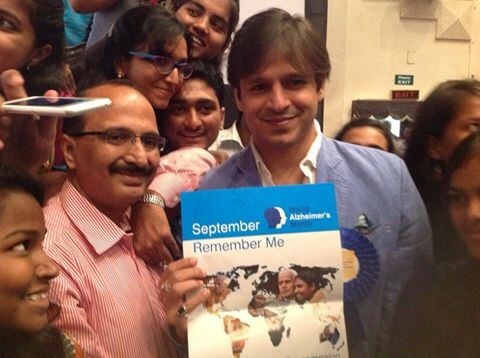 The efforts by Silver Innings and Pride Age in raising awareness about Alzheimer’s have been relentless this month and before this month too. It’s team will continue tireless work afterwards also at national and international level too. Using innovative and unique ideas and efforts to raise awareness and alleviate suffering of the affected elderly. As a team member Ramaa Subramaniam met with Marc Wortmann, Executive Director, Alzheimer’s Disease International HQ, London and Team. This meet will give chance to explore new avenues and to share, learn and network for the cause of #Alzheimer’s and #Dementia. She also brought a life-like infant doll from Care, Singapore, which was christened ‘Baby Chintu’. This innovative use of Doll Therapy amongst the A1 Snehanjali residents was effective in promoting healing and patients look happier and are more expressive. After 114 years of waiting, there’s finally real hope to finally beat Alzheimer’s.We need to raise awareness that Alzheimer’s is a disease and that if we try, we can beat it. Help speak up for them, and help demand a cure. Posted on October 2, 2015 February 23, 2017 by sushme2015Posted in Alzheimer's/Dementia, Events, World Alzheimer's MonthTagged World Alzheimer's Month. Next Next post: How to ADOPT A FARMER FAMILY !